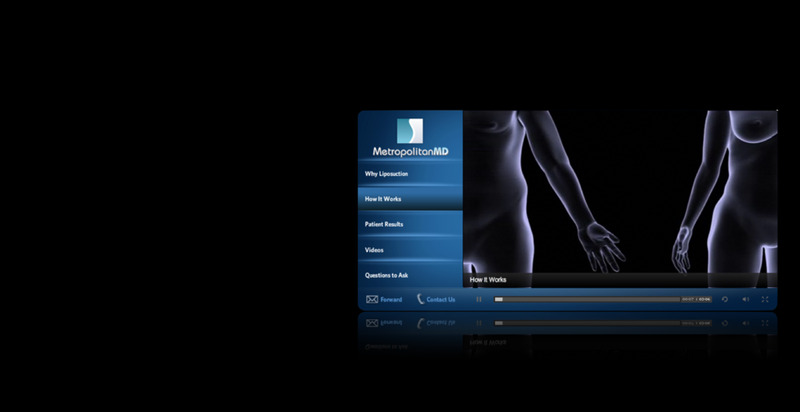 DEVELOPED EMBEDDABLE MICROSITES WITH 3d media TO HELP DOCTORS SELL MORE EFFECTIVely online. Developed surgical animation content for use on plastic surgery websites. The product was a branded player with 3D animations, before & after photos, and video interviews. Raised $50,000 from two medical academy presidents and four other surgeons. Average view 04:46, and 5x increase in conversion rate.